Environment of Care (EOC) reports and ECRI Institute alerts and Recalls are all covered through HEMS modules dedicated to helping a hospital meet the highest level of requirements in their respective areas. EQ2’s Smart Alert Search (SAS) process provides fast inventory searching with just the click of a button. SAS looks across manufacturer source trees and ECRI’s UMDNS device type classifications to clear away unnecessary information. The search enables a complete view of all Alert/Recall candidates with just two clicks, even if they are currently owned by third-party companies. Our Advanced “Search and Find” feature can fine-tune or broaden the search, to meet specific needs. We provide all of the alert information right on the same easy-to-read, color-coded screen. There is no need to open multiple windows to deal with one or several alerts/recalls. You can customize your view, by opening the same information in a larger full-screen window. As you review the generated list, you can label alerts “applicable,” “not applicable,” or “not reviewed” based on given criteria. 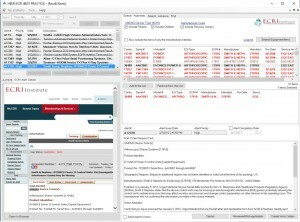 One click issues the workflow and notifies departmental management or sets the Alert/Recall status. 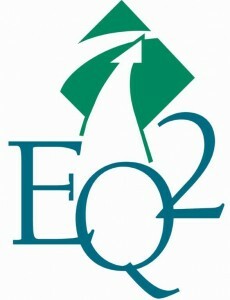 From there, EQ2’s Alert Report puts actionable information at your fingertips. Select any alert to review the activities associated with it and get a complete set of facts. Institution-wide alerts and individual hospital site alerts are visible on the same screen, making reports to a safety committee easier to compile all and relevant to them. The ECRI Institute logo is used in HEMS with permission from ECRI Institute.